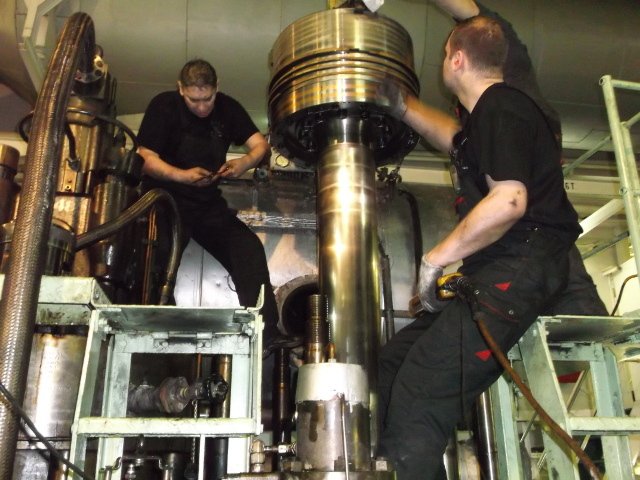 MTS Marine Technical Services Ltd may have solutions for all technical issues and problems of every kind of vessel. Our mission is to satisfy our client’s requirements and establish a e-long term relationships and co-operation with our partners. We specialize in providing services on board of the vessels as well as in our own facilities.Our strong team of Engineers, Technicians, Fitters and Welders, with their shipyard or sea going experience, is able to perform nearly all works o/b vessels. We specialize in works done on board of the vessels as well as in our own facilities. The company was established in 2008 by two experienced ex – Technical Superintendents Mariusz Bożejowski and Ludomir Pawłowicz, both with long-term experience as Chief Engineers. In order to render a comprehensive and reliable service range, we have a team of experienced specialists in various areas, who have previously worked on and completed many repair projects. For works on board, we use our portable Chris Marine valve seat grinders (5 pcs), Hunger valve seat grinder, manual seat grinders, portable honing machines (electrical, pneumatic drive or smaller hand drive), a crankshaft hardness tester, an Easy Laser alignment set, electronic indicators, portable (ESAB) welding machines and various measuring instruments. 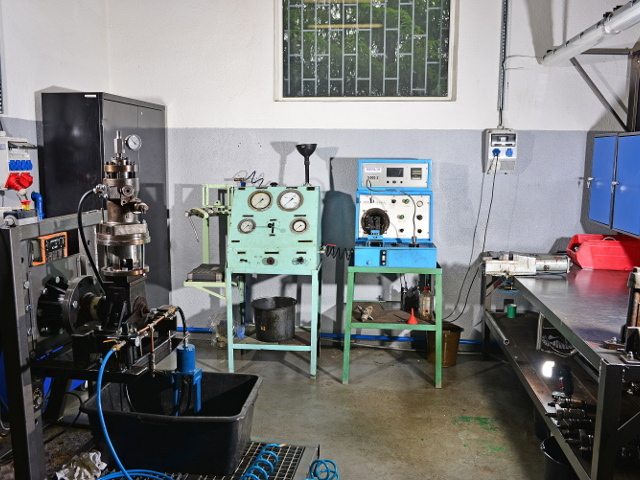 Our shop is equipped with a milling machine, latches, stationary honing machines, an injector testing bench (dynamic with printout) a B&W injector (sliding valve) testing bench, stationary valve spindle grinders (Hunger), Chris Marine valve seat grinders, an 80 ton hydraulic press, various welding machines and measuring instruments. Our technicians are Polish citizens and can travel without problems within Europe. Most of our technicians are holders of Seamens Books, which helps a lot when travelling to vessels outside Europe, some of them are is possession of US Visas. We are in possession of various portable equipment and tools that which can be taken by our teams with them. 2008The company was established in 2008 by two experienced ex–Technical Superintendents: Mariusz Bożejowski and Ludomir Pawłowicz, both with long-time experience as Chief Engineers. Bureau Veritas Recognition for providing mechanical services on boards and in addition our workshop has the RINA approval. Copyright © 2015 MTS Marine Technical Services LTD. All Rights Reserved.